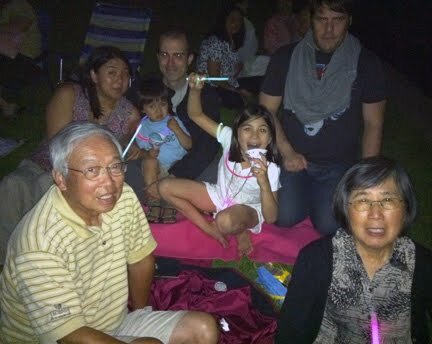 Here's a photo I took of most of my family gathered together to watch the 4th of July fireworks. We're all busy and it seems like time flashes by so it's nice to take a moment and realize, if only in retrospect, these are the faces of those I love most. Not as loud or as brilliant as fireworks, but beautiful nonetheless.